Today I made a new batch of apple cider. I have been craving it for the past few weeks and it seems like every time I buy apples a few days later they are gone and no cider is made. 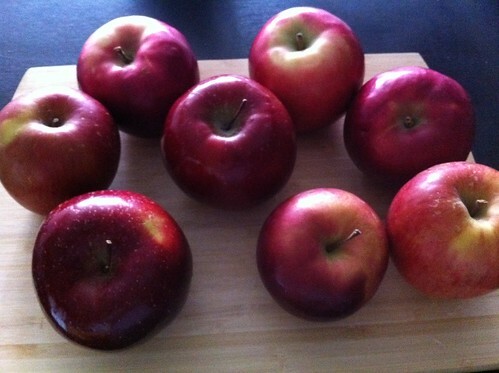 And then I’m like “Where are the apples?”… then I look at Matthew. 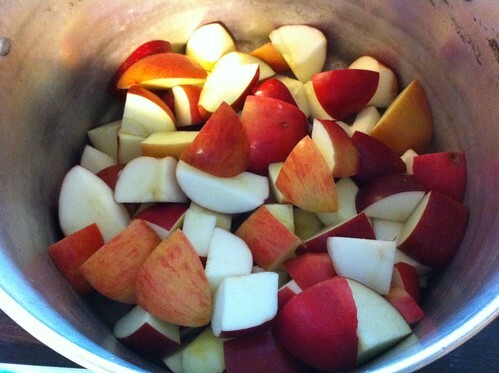 So today as soon as I got home from the grocery store I cut them up and boiled some cider. Recipe here. For today’s cider I used Fuji, McIntosh and Red Rome apples.